The playground has been temporarily closed in order for works to be carried out partly due to wilful damage. We are pleased to advise that the repairs are now complete and the playground is ready to re open. 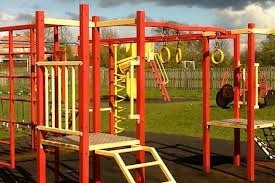 The playground will re open on Thursday 20th June when the swings have been replaced. THE PARISH COUNCIL APOLOGISES FOR ANY INCONVENIENCE CAUSED AND THANK YOU FOR YOUR PATIENCE AND UNDERSTANDING DURING THE PLAYGROUND CLOSURE.